Fatoumata was 8 years old when she first presented to our office. At that time, she had a 15 degree thoracic curve and a 15 degree lumbar curve. Her curve progressed to almost 30 degrees so she started bracing with a traditional TLSO brace. 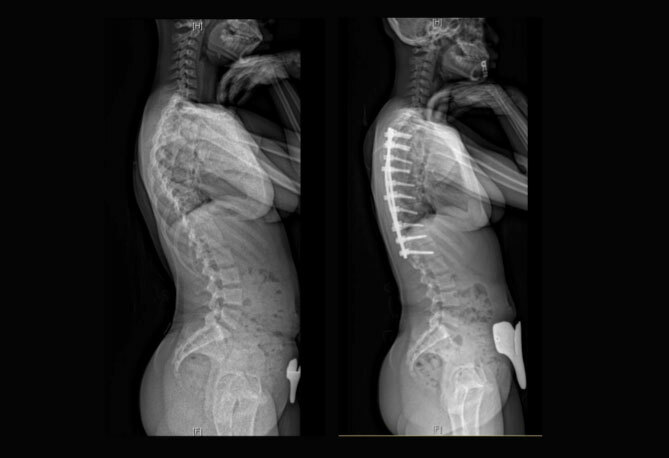 Despite attempts at non operative treatment, her curve continued to progress to above 50 degrees by the time she was 14. Dr. Vitale recommended surgically correcting the curve with a Posterior Spinal Instrumentation and Fusion. 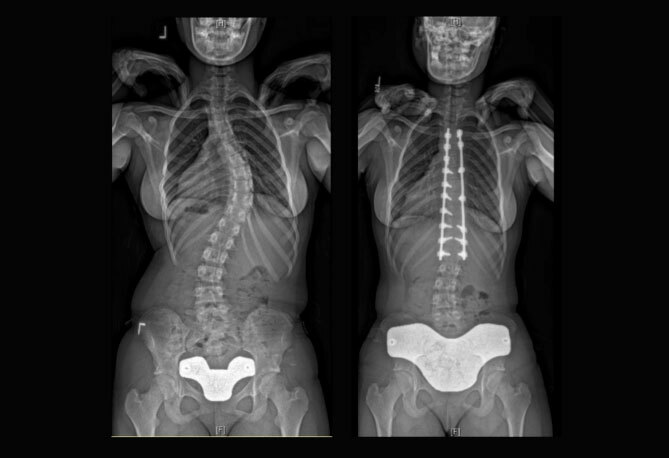 Thankfully her Lumber curve was flexible so she was able to proceed forward with a Selective Spinal Fusion. She did well with the surgery and we just saw her back for her 5 month Post Op Visit. She has no complaints of any pain and her xrays show near complete correction of her curvature.